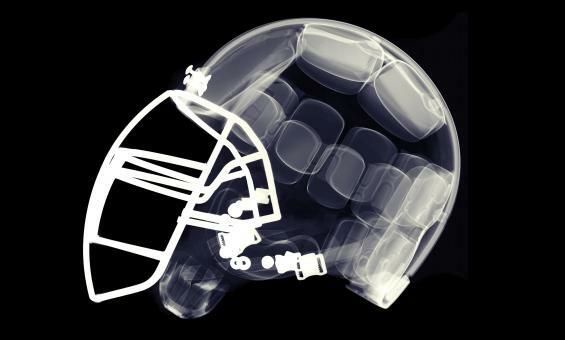 FRONTLINE wins the November Sidney Award for “League of Denial,” a major investigation that reveals what the National Football League knew about post-concussion brain damage, and when it knew it. When retired Pittsburgh Steelers center Mike Webster died in 2002 at the age of 50, he was suffering from early-onset dementia so severe that it had left him homeless. Forensic pathologist Dr. Bennet Omalu autopsied Webster’s brain and found unusual accumulations of a protein that was choking off healthy nerve cells. Webster became the first known case of chronic traumatic encephalopathy (CTE) in a professional football player. By 2010, a leading neuropathologist had examined the brains of 20 retired NFL players who died with dementia and 19 of them showed signs of CTE. CTE has also been found in the brains of deceased high school and college athletes with concussion histories. Internally, the NFL had acknowledged the link between Webster’s multiple concussions and his dementia by awarding him disability payments, but instead of levelling with players and the public about concussions, the NFL embarked on a campaign to squelch the nascent science of CTE. The League’s tactics were lifted straight from the Big Tobacco playbook: maligning scientists, promulgating junk science, and endless legal wrangling. “League of Denial is a groundbreaking documentary that exposes corporate malfeasance and sheds light on the critical public health issue of concussions in contact sports,” said Sidney judge Lindsay Beyerstein. League of Denial was directed by Michael Kirk, written by Michael Kirk, Mike Wiser, Steve Fainaru, Mark Fainaru-Wada; produced by Michael Kirk, Jim Gilmore, and Mike Wiser, and reported by Jim Gilmore, Steve Fainaru, and Mark Fainaru-Wada. FRONTLINE's "League of Denial" &nbsp;is a major, two-hour investigation of&nbsp;what the NFL knew about the connection between football and brain damage, when it knew it, and what it all means for the future of the game. It is drawn from the "League of Denial" book by ESPN's Mark Fainaru-Wada and Steve Fainaru. Lindsay Beyerstein interviewed director Michael Kirk by phone. This interview has been lightly edited for clarity and brevity. Q. What is Chronic Traumatic Encephalopathy (CTE) and why are pro football players at such high risk of getting it? CTE is a brain disease that’s sort of is like Alzheimer’s disease, but not exactly. Tau proteins attack different parts of the brain. [It can affect] anger, memory, various centers of the brain. It’s different in different people. It’s a kind of deterioration of the brain matter. The way that some scientists think it occurs is repeated sub-concussive and concussive blows to the brain. It’s a little like dementia pugilistica, which is what boxers can get. It can’t really be accurately seen or tested for unless […] it’s discovered in autopsy. The theory is that people who tend to get it are linebackers or middle linemen, people who suffer 30, 40, 50 blows a day in practice, and as they cross the line of scrimmage during games. It’s been identified in players as young as 18 and as old as NFL veterans. Tends to show symptoms around 40, 45, 50 years of age. Someone who’s out of of the game may develop anger and impulse management problems, and probably some level of drug or alcohol addiction. They tend to lose their money. Their families break up and depression ensues. They go mad. Q. One of the “smoking guns” in this story was an unpublished report that conceded that Pittsburgh Steelers legend Mike Webster was suffering from brain trauma from hitting his head on the football field. How did the Fainaru brothers find it? During their research for their book, over more than a year, [the brothers amassed] more than 10,000 pages of various kinds of documents. One of the treasure troves of documents were the medical records of Mike Webster because he and his attorney Robert Fitzsimmons had filed a disability claim with the National Football League Retirement Board. In the course of accumulating the medical history of Mike Webster, every record that the NFL had went to the lawyer and went to Mike Webster. Digging around inside the records, the Fainarus discovered this admission by the Board that football had caused Webster’s brain damage, the first such admission they could find that had been written down. The fundamentally important thing about it was that they wrote it down in the early 1990s. It never would see the light of day until this year. It helps set a date for when the NFL knew as part of the ongoing question we ask and Fainaru brothers ask, which is: What did the NFL know? Q. In 2002, pathologist Dr. Bennet Omalu became the first investigator to find CTE in the brain of a retired NFL football player. He now says he wishes that he’d never examined Mike Webster or gotten involved in CTE research. What did the NFL do to Dr. Omalu to make him regret his discovery? The did just about everything bad you can do to a scientist. Take the thing he wrote for Neurosurgery for example, they called for the magazine to retract it, basically to throw it away. The only way that that would ever be done in a scientific journal is if he lied or plagiarized. What’s worse in terms of assailing the science of a scientist? [These tactics were] designed to humiliate him obviously. They made him feel horrible, despite the fact that for years he’d been doing this work. It’s was just one slap after another. Q. “League of Denial” presents evidence that sexism played a role in the NFL concussion board’s dismissal of Dr. Ann McKee, an eminent neuropathologist who presented overwhelming evidence of a link between concussions and CTE. Dr. Omalu is a black man and a Nigerian immigrant. Did race play any role in the NFL’s treatment of Omalu? It’s so hard to say about something like that. I think that Dr. Omalu would say that, yes, he believes that [race played a role]. So many of those kinds of things are left to the beholder and the imagination. I never knew how to get at that, because it’s always so cloaked in rhetoric. That’s another reason why I wish that I could have talked to Commissioner Goddell or Dr. Pellman or Dr. Casson, or anyone on that committee. It is one of the questions that I would have liked to have answered. Unfortunately because they wouldn’t talk to us, a lot of those kinds of things are left to the eye of the beholder. When you watch it, you can make up your own mind. Q. As editor of the journal “Neurosurgery,” Dr. Michael Apuzzo published a series of papers by hand-picked NFL experts denying the link between concussions and dementia, a series that would become the NFL’s official narrative of denial under the imprimatur of a prestigious journal. Apuzzo published these papers despite the objections of his reviewers and his section editor who felt they were bad science. He was also a consultant for the the New York Giants football team at the time. Has Apuzzo been held accountable for this conflict of interest? I don’t know. I didn’t find any record of that. Dr. Apuzzo, to his credit, it’s also true that he ran Dr. Omalu’s two papers. So maybe part of him was just trying to get a debate going. And he didn’t make Omalu retract his papers. So, he has that on the plus side of the ledger. But I think the things that others say about him in the film and the truth of his relationship to the NFL is unassailable. He’s another person we tried very hard to get on the record and that’s one of the questions I would have asked him. Q. The NFL commissioned a scientific study of retired players and found that they were at increased risk of dementia and other memory disorders. Did the NFL committee have this data in hand when it was challenging Ann McKee on the prevalence of CTE in football players? It’s hard to say who knew what when. It’s part of what our inquiry was about. But we’re certain inside the NFL that that there were any number of other studies that they knew about and that we could find. [Studies] that were done by Dr. Omalu, things that had been written in the journal Neurosurgery. Did the the people on the Mild Traumatic Brain Injury Committee know? Did everybody know? It’s the kind of thing you wish you knew with a certainty. It would be lovely if they’d decided to speak to us. But for their own reasons they decided not to. So, the best we could is guess about what they knew–but it’s an educated guess–given that there were a number of studies around, is that they probably should have known. [If they didn’t know] the prevalence and causation, they may have known that a problem existed at some level with an undetermined number of their players. You’d have hoped that they would have taken that seriously. Certainly they had to know that this was a big problem around the time that Ann McKee showed up at the NFL for that meeting with Dr. Casson and others.